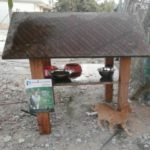 Ras Al Khaimah Animal Welfare Centre (RAK AWC) is a nonprofit animal welfare organisation that rehomes socialised, trained and healthy cats and dogs. Studies and experience have shown that simply removing cats will not solve problems an area might have with stray cats. As long as a source of food, water and shelter remains available, others will soon take the place of the cats removed. If, instead, a stable colony of sterilized and medically attended cats is permitted to stay on the premises, this will prevent newcomers from moving in and also keep rodents, snakes, scorpions etc, at bay. 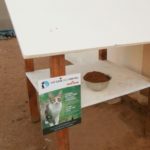 The Cat Café project has proven successful in a number of countries worldwide. 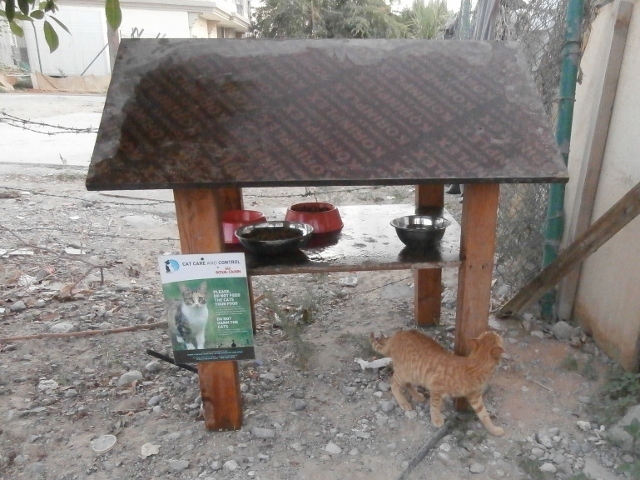 Cat Café stations are currently placed in residential areas, schools, hotels and labour camps RAK. 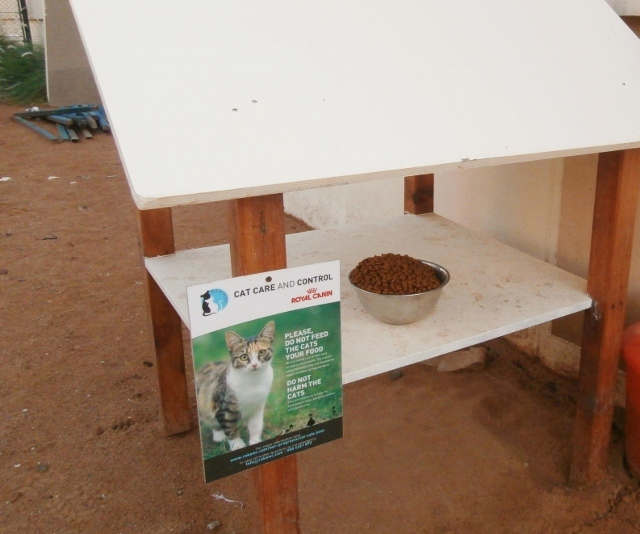 Apart from feeding, Cat Café supporters are involved in cats health check and TNR programmes. RAK AWC will desex, vaccinate and deworm the healthy cats and will euthanase those that are sick and injured. A fully implemented plan means that the complete feral cat population in the selected area will have been neutered, vaccinated and de-wormed, and their ongoing health will be monitored by the RAK AWC as well as by those directly concerned. The shelter is staffed by volunteer cat-loving individuals, employees and guests, who are all welcome to interact with the cats if they wish. Regular feeding times should be established.